Sweetened Condensed Milk is having a bit of a moment. It has a lot of things going for it when it comes to food trend bingo: sweet, rich, vaguely nostalgic, cheap, found in a can. It also can be transformed into an amazing dulce de leche, just by boiling a can in water for 90 minutes. It’s versatile and simple, and pulls at my heartstrings, as if it’s nestled somewhere in my past. But it’s not. My mom was more of a “golden syrup” lady, so sweetened condensed milk’s charms are a new revelation to me. 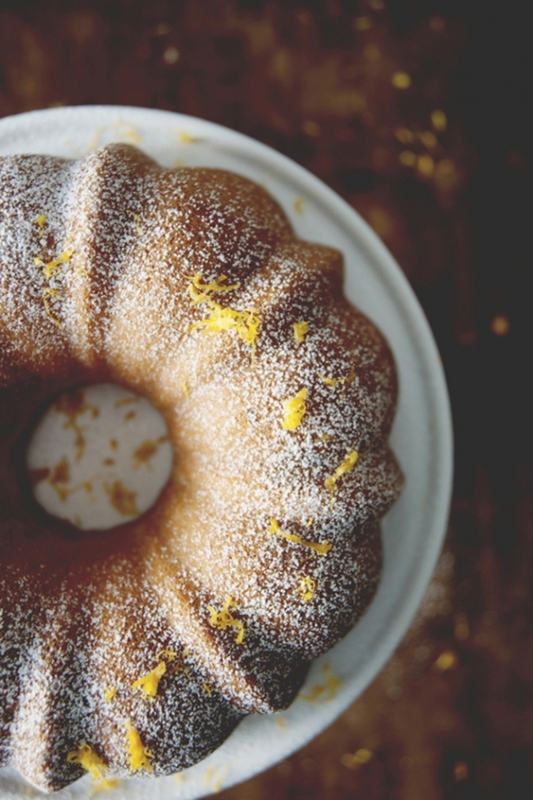 This cake mirrors the simple loveliness of its star ingredient. It’s compact and dense, filled with not-too-sweet eggy flavor, but not a show stopper. It’s the cake that I devoured over the course of a day. It’s the cake I have to taste every time I walk passed it, because, I simply have to. 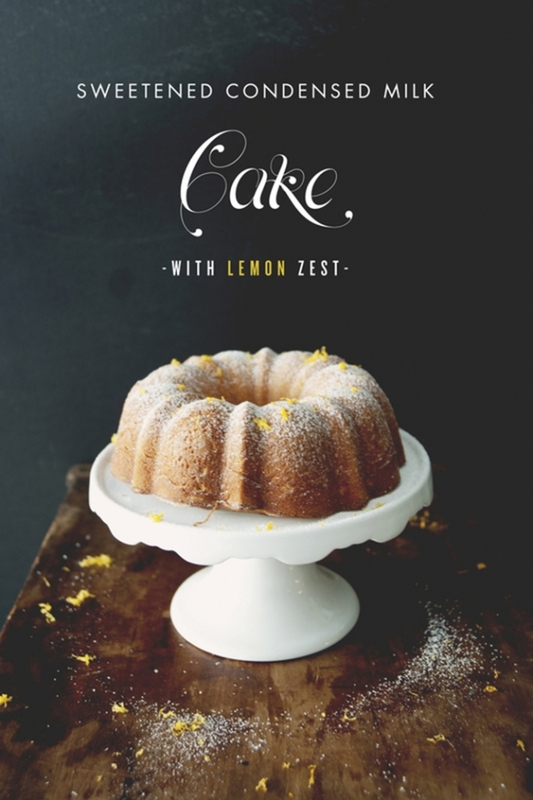 You can serve it almost plain, with just a kiss of lemon zest and powdered sugar, like I did, or you could add a dark chocolate glaze or some whipped cream and berries to really make it impressive. 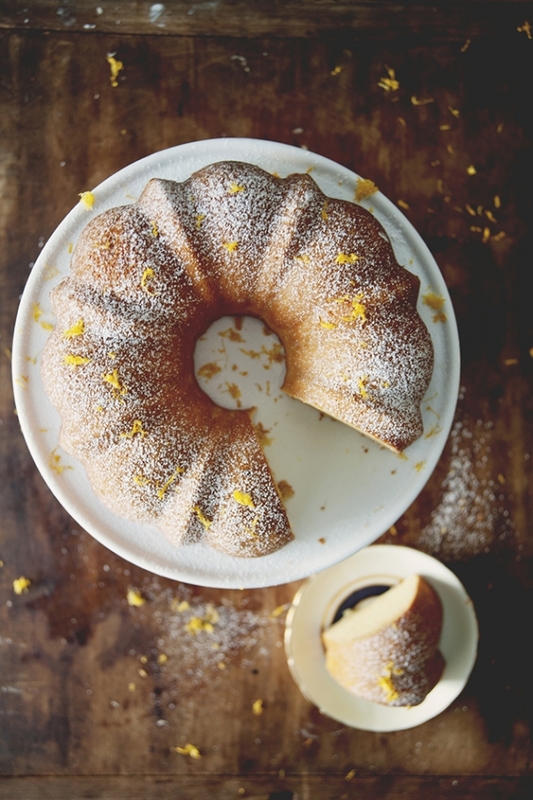 This is note a sponge or a classic bundt-style cake, which is to say, the texture is not meant to be moist and rich or light and spongey. The cake texture is dense, very eggy, and is best paired with fresh whipped cream or served with tea. Prepare your cake pan by brushing it with butter and spreading it with flour (flip and tap to remove excess flour) . In the bowl of a stand mixer, beat the eggs. Pour in the sweetened condensed milk and beat until pale yellow and smooth, then pour in the melted butter and salt, and beat until blended. Sift together the flour and baking powder and with the mixer on low, add a little at a time until just incorporated. Add the lemon zest and vanilla extract, stirring to combine. Pour into the greased bundt pan and bake for about 60 minutes, until golden brown and a toothpick comes out clean. Let the cake cool for about 5 minutes, then flip the cake onto a plate. Sprinkle with powdered sugar and lemon zest to finish.